Jason Aaron Teases His GENERATIONS THOR Story in New Video! Find out what’s in store for the God of Thunder! In a flash, the Marvel heroes are offered a gift: to stand shoulder to shoulder with those who came before them! 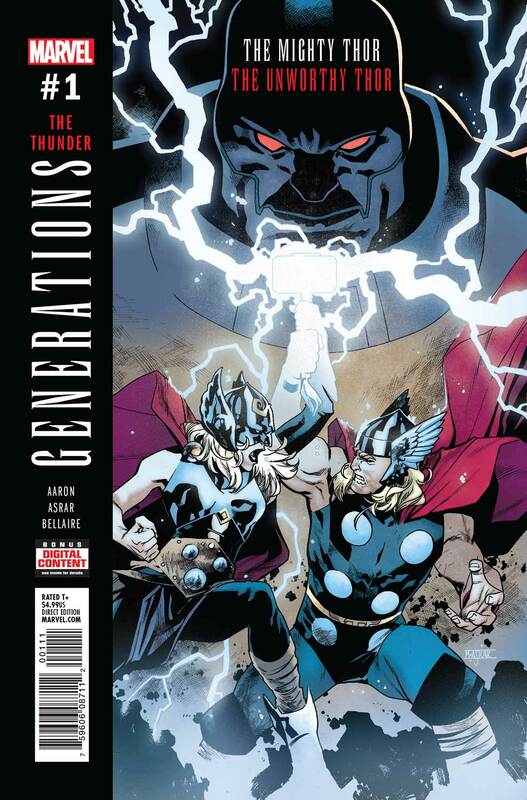 Today, Marvel release GENERATIONS: THE THUNDER written by Jason Aaron with art by Mahmud Asrar. In this new and exciting story, Jane Foster meet a version of Thor she’s never met before – one who has not yet picked up the hammer. Don’t miss your favorite characters as they find new adventures at the Vanishing Point, where time has no meaning. These epic tales offer fans a direct bridge and prelude into the senses-shattering Marvel Legacy, as the challenges and revelations of GENERATIONS will alter the destinies of our heroes moving forward in a dramatic fashion!